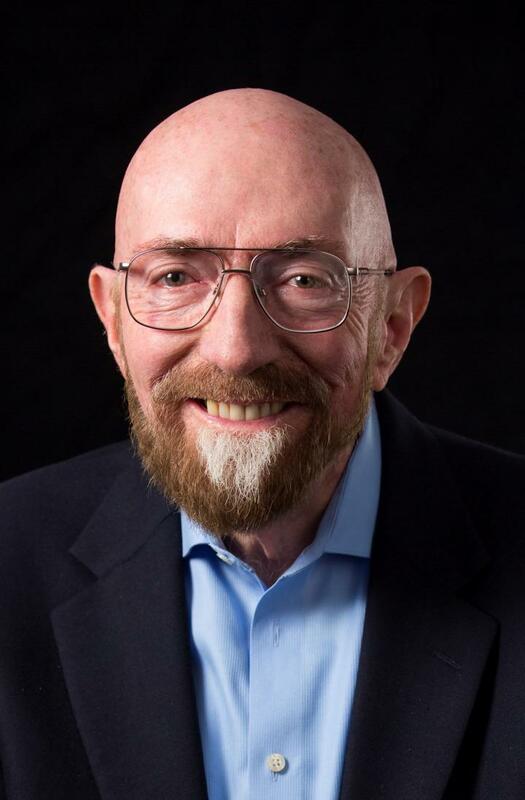 In his research, Nobel Laureate Kip Thorne has traveled deep into the strange world of general relativity–physicists' description of gravity as a geometric property of space and time–and has become one of the world's foremost experts on the topic. But even as Thorne has ventured into the theoretical complexities of the universe, he has successfully brought the rest of us along. With deft explanations and depictions, he draws people into the space-, time-, and mind-bending realm of Einstein's ideas through books, talks, and films. For all this, Thorne will be awarded the 2018 Lewis Thomas Prize for Writing about Science, which honors scientists as inspirational authors. He will receive the award Tuesday, April 17, at a free, public event on The Rockefeller University campus. A reception will begin at 5:30 p.m., followed by the prize presentation and a lecture at 6:30 p.m. In his 1994 book, Black Holes and Time Warps: Einstein's Outrageous Legacy, Thorne introduces an array of bizarre relativistic concepts, including wormholes, which are theorized to connect distant regions of the universe, and black holes, with such strong gravitational effects that not even light can escape them. By interspersing tales of scientists in their historical context with intuitively challenging concepts, he keeps readers engaged and explains how researchers uncover knowledge and how ideas change. As scientific advisor for the 2014 movie Interstellar, Thorne shared aspects of Einstein's cosmos with tens of millions of people. He and the filmmakers committed themselves to honoring the real mathematics of general relativity in their work, weaving physical theories into the story in an emotionally and intellectually compelling way. Thorne's follow-up book, The Science of Interstellar, explains the incredible laws of the universe that informed their filmmaking. "The Lewis Thomas Prize honors the 'scientist as poet,' and there is something viscerally poetic in all of Thorne's work–whether sharing the sounds of black holes colliding for the first time or searching the curvature of spacetime," says Jesse H. Ausubel, chair of the selection committee, which includes both scientists and writers. Thorne was selected for the Lewis Thomas Prize before being awarded the 2017 Nobel Prize in Physics for proving the presence of gravitational waves through the Laser Interferometer Gravitational-Wave Observatory project. Born in Logan, Utah, Thorne made a fateful visit to a bookstore when he was 13 years old. There, he found George Gamow's science book for the general public, One, Two, Three…Infinity. Thorne read it three times and then decided to become a physicist–attending California Institute of Technology as an undergraduate and Princeton for his Ph.D. Thorne is currently the Feynman Professor Emeritus of Theoretical Physics at the California Institute of Technology. Recent recipients of the Lewis Thomas Prize include oceanographer Sylvia Earle, physiologist Frances Ashcroft, surgeon Atul Gawande, mathematicians Steven Strogatz and Ian Stewart, and evolutionary biologist Sean B. Carroll. Those interested in registering to attend this year's event can visit https://www.rockefeller.edu/lewis-thomas-prize/.